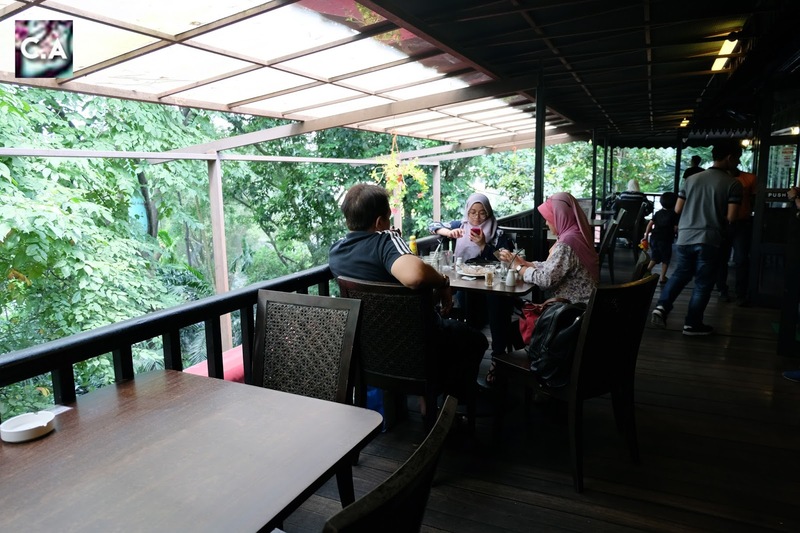 Dine With Beautiful Rare Birds at Hornbill Restaurant & Cafe, KL Bird Park! My house is fill with a lot of birds and that's because my dad look after the creature for a longest time now. There is one time where he get burung Tiong Mas from his friend and my house feel more lively with that talkative bird. 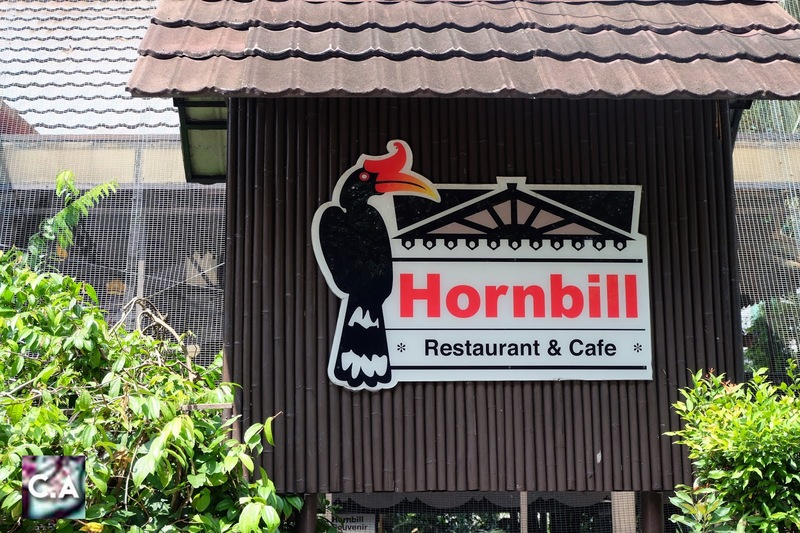 Therefore, I am really excited to be able to sit around and eat with a very beautiful and rare birds at Hornbill Restaurant, KL Bird Park. So, let's fly together into the menu! Colourful yet delicious food at Hornbill Restaurant. 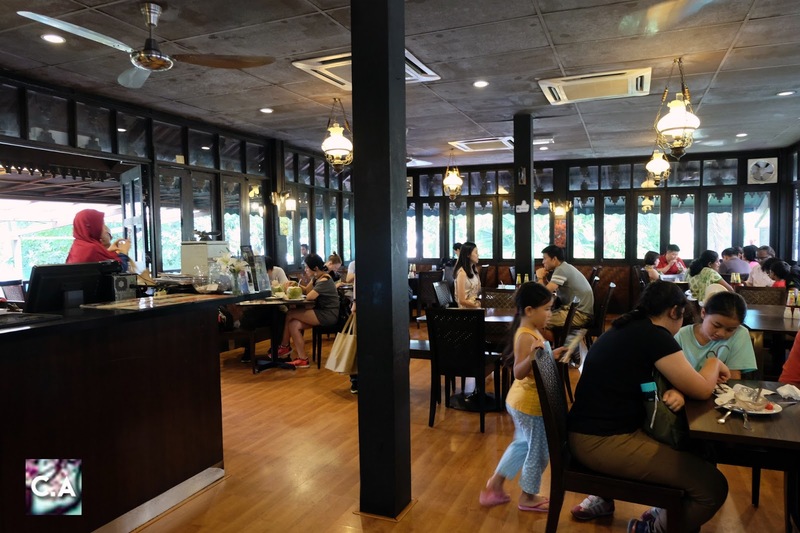 I love the idea of having restaurant near the attractions, because you can get a food very easy and it's very convenient especially with kids around. 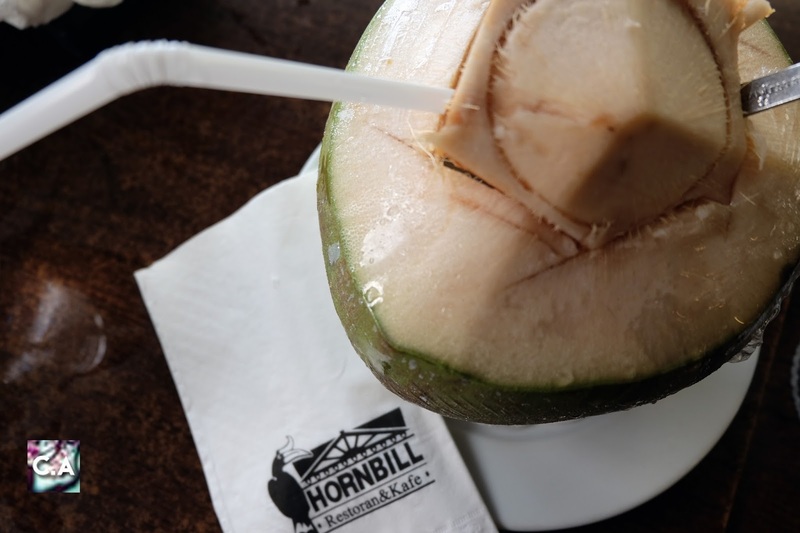 Open daily, from 9 AM until 8 PM, I'm pretty sure Hornbill Restaurant & Cafe is smart choice to a satisfying dining experience with a perfect ambiance. 1. The black pepper sauce is very thick and good. 2. 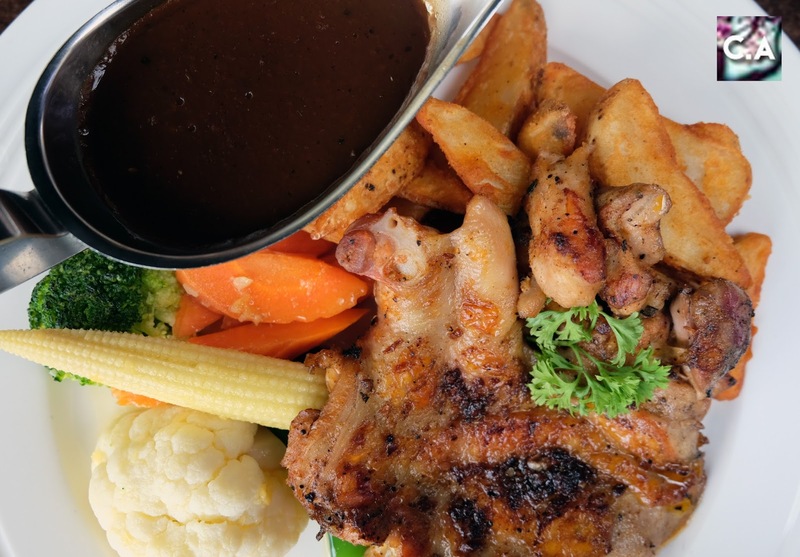 There is a lot of vegetable on Chicken Chop plate. 3. The amount of food is satisfying. 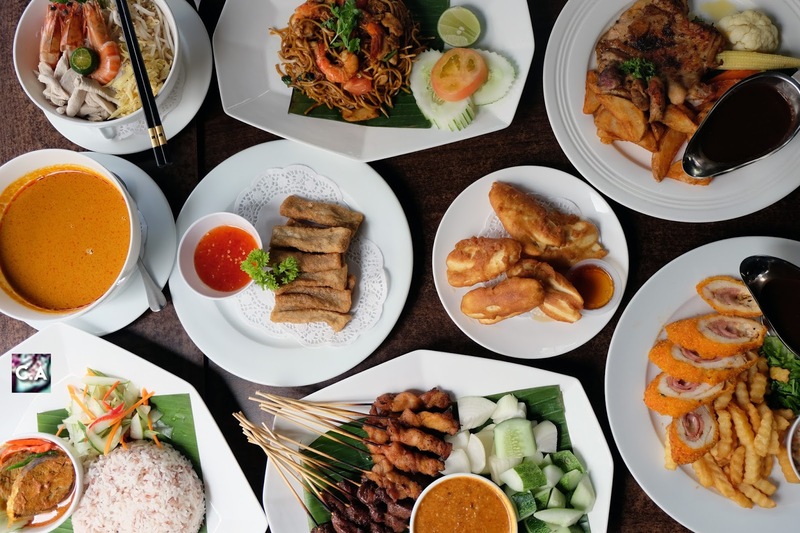 That was on their International Favourites, now lets move on to the Malaysian cuisine. 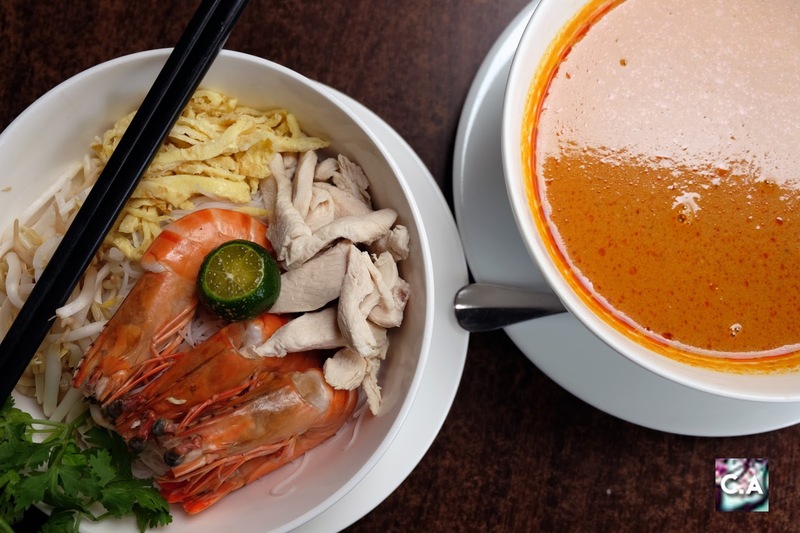 Laksa Sarawak is one of the popular dishes here at Hornbill Restaurant, and I know what is the reason. I was looking at all the dishes repeatedly and I recognised that they give a fair amount of food on each of the plate. Look at those shrimp, coconut curry sauce, bean sprouts, chicken, and egg because that was huge. And I like that they are using vermicelli noodles, because it can soak the coconut curry sauce much more better rather than thick noodles. In case you are wondering, the sauce is not spicy. If you want to add a kick to your palette, they served it with homemade belachan chili on the side. I have fulfil my craving before Ramadhan by eating this Nasi Dagang. 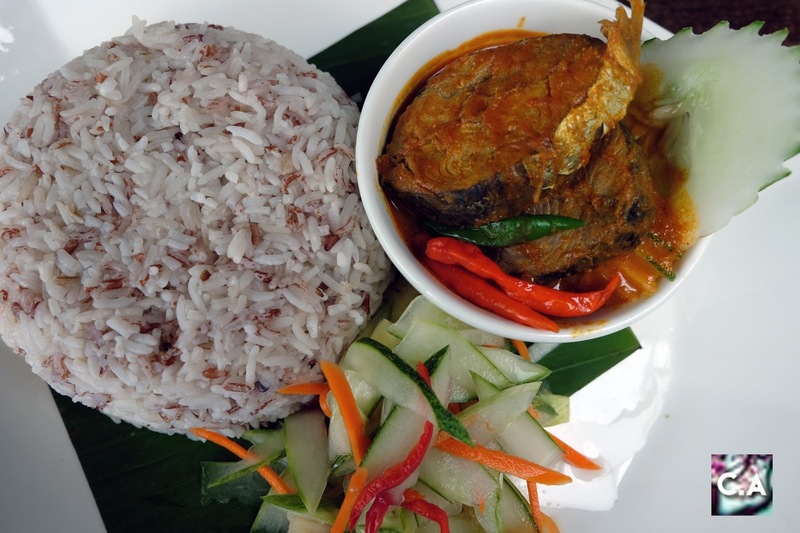 What I love about Nasi Dagang is their rice and the sides dishes (tuna fish curry & sliced vegetables). But, to be honest this is not the best Nasi Dagang that I have eaten because I'm a type of person that like strong flavour and it doesn't capture my palette that well. Well, nothing could go wrong with fried mamak style. I love the taste especially when you mix with a squeeze of lime. It enhanced the flavour more, what more can I say with that generous amount of shrimp, chicken and tomatoes. Outdoor Seating at Hornbill Restaurant. 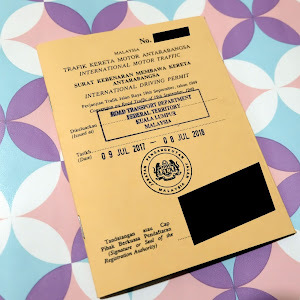 Apa lagi, termenung luar jendela lah! Fewyhh, now that's what I called a huge meal! Let me take a break and quench my thirst with this coconut drink. Repeatedly I'm going to say this, I REALLY LOVE COCONUT DRINK and it was a point that they served it here. You know sometimes you get a very hard to peel coconut flesh, but today is my lucky day to clean off the coconut by myself #coconutlover. So far, I feel like anything that was put on a skewer taste good and that include with a Malaysian favourite food, Satay! 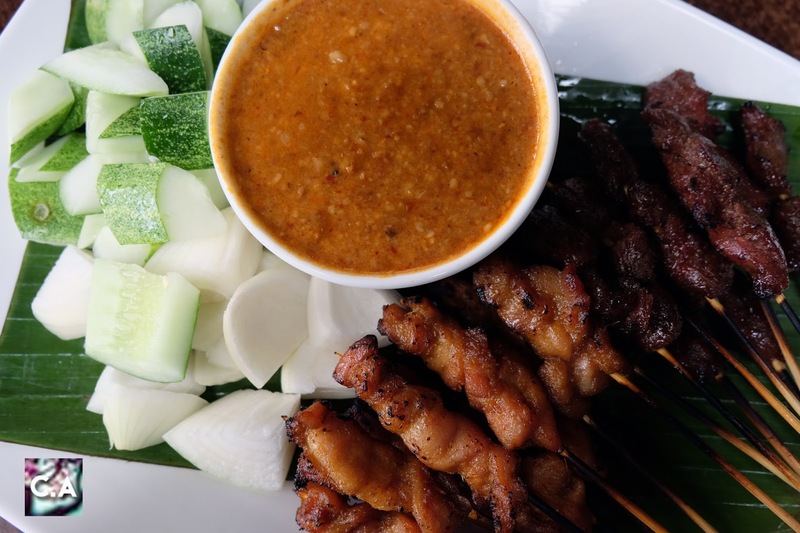 A Malaysian satay is not complete without onions, cucumber and spicy peanut sauce. The only downside is that they didn't include nasi impit on the plate #iSad. My personal preferences is that I like beef satay more than chicken because of the fat. 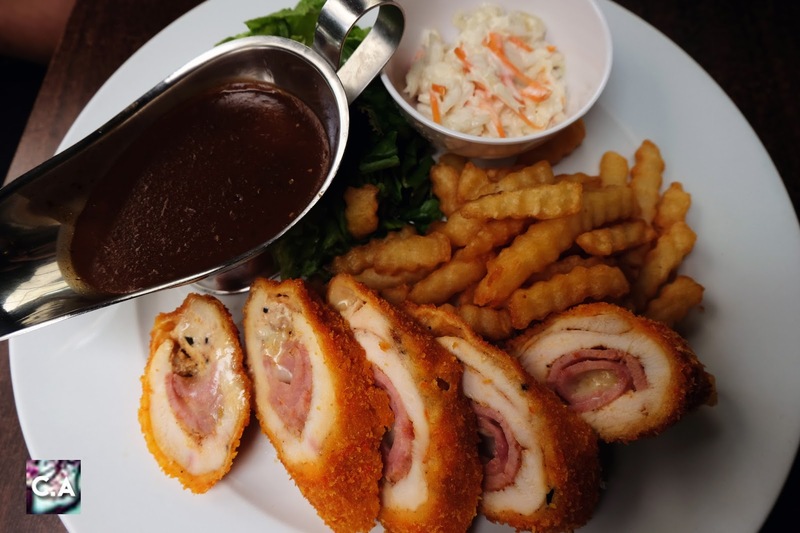 At Hornbill Restaurant, it's not that much the fatty taste, the meat is not that tough and easy to chew. 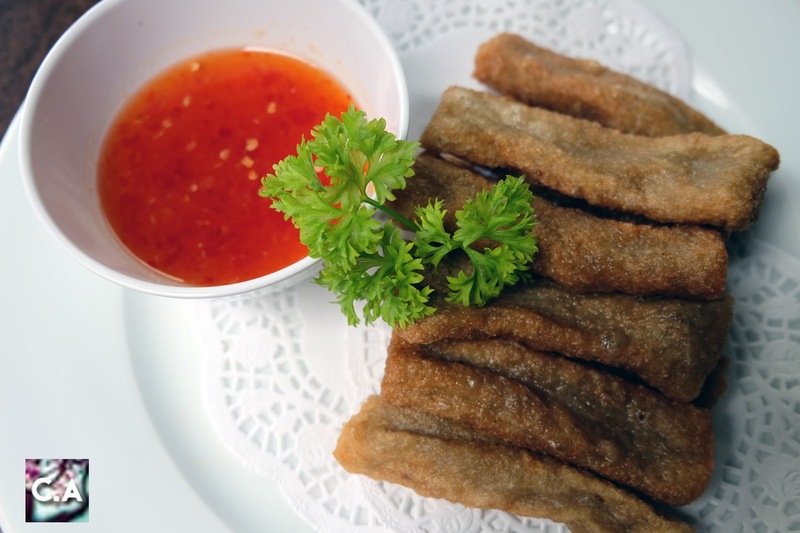 Fluffy and crunchy, two words to describe this Fried Banana and Keropok Lekor. 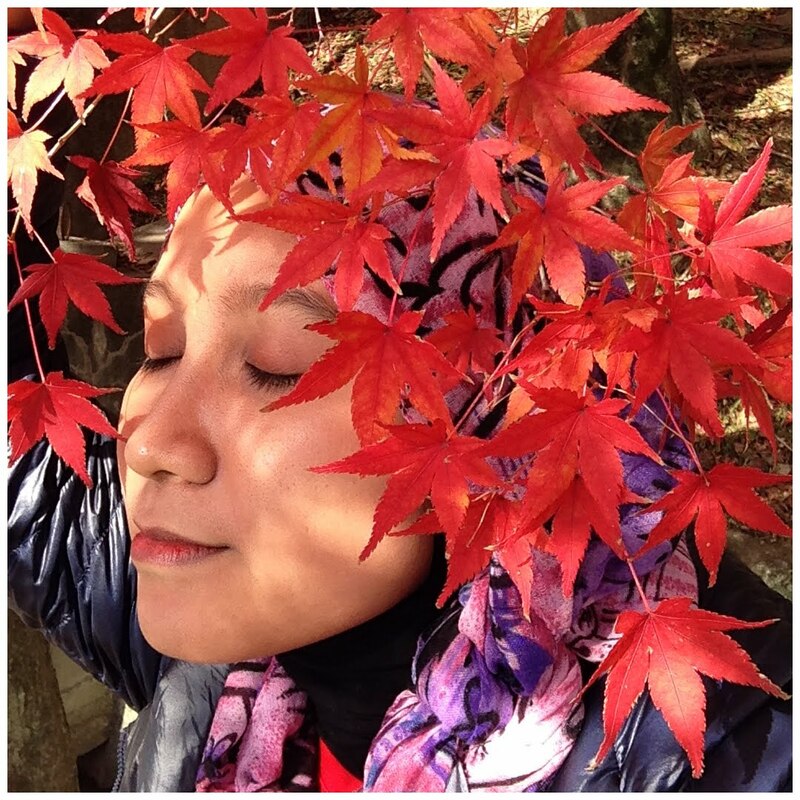 They said that this side orders is popular among tourist, which I was deeply amazed and touch. 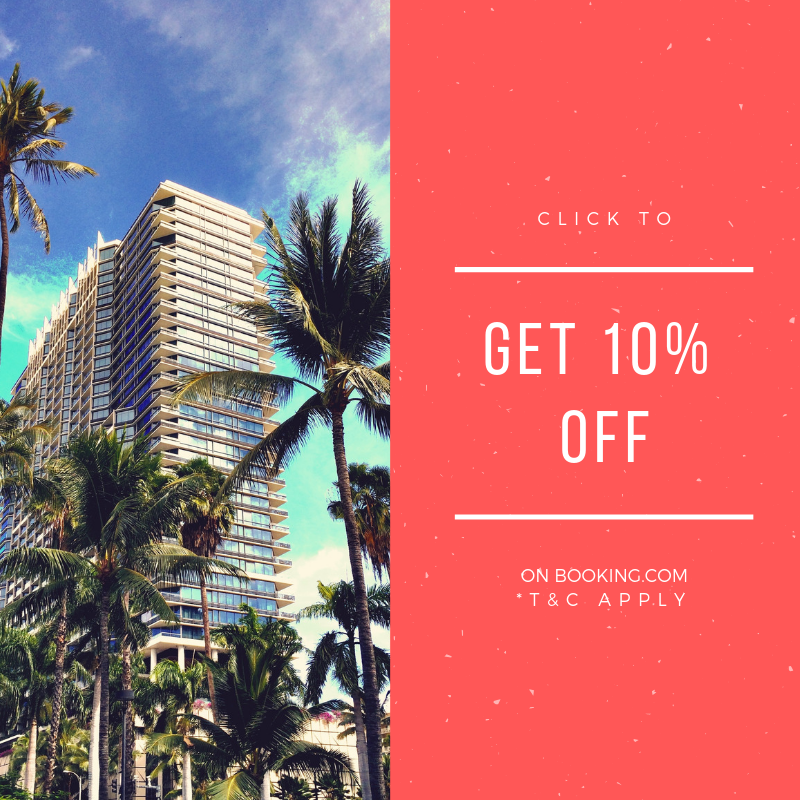 I recommend this if you are just want a hi-tea sesh with your friends or family while looking at the view. Oh! 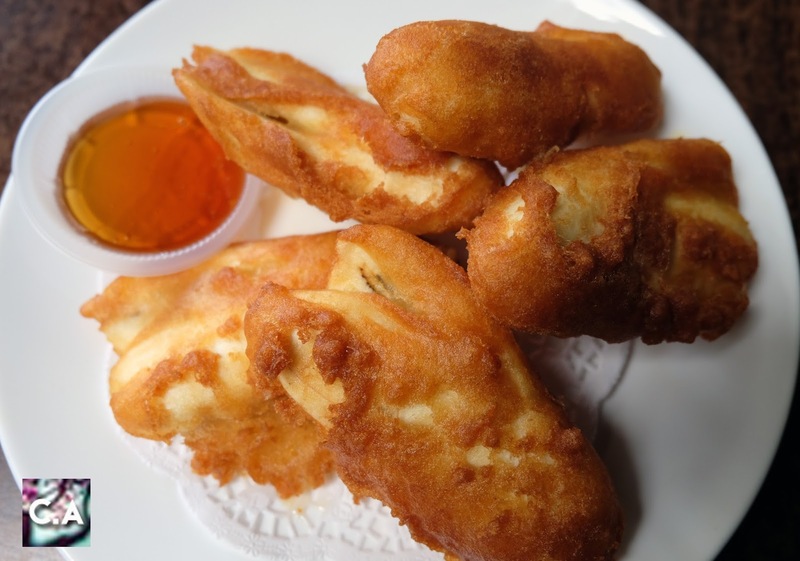 For fried banana, don't forget to dip into honey for additional sweetness. 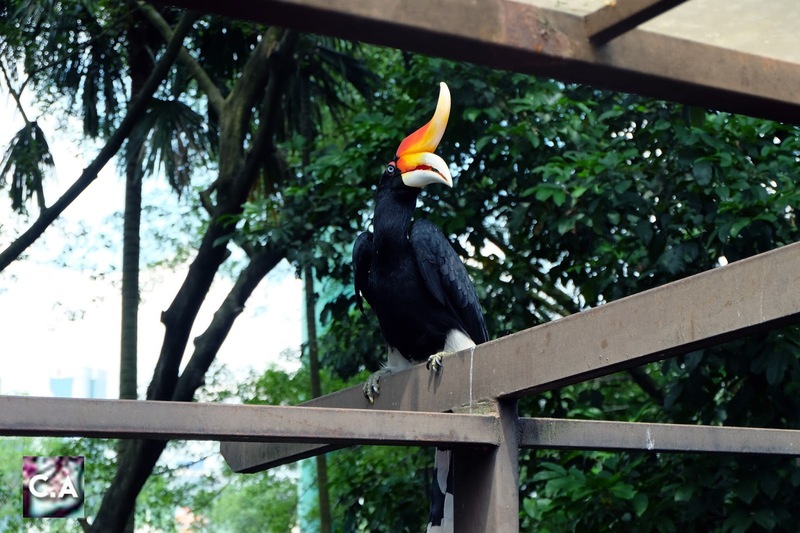 While I was enjoying eating my dessert (Banana Split) before head off, I get to see Hornbill birds in person! 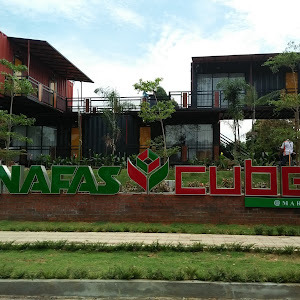 For those who will come here soon, I really recommend you to sit outdoor just to get the feel of calmness while eating a scrumptious food. Indoor Seating of Hornbill Restaurant. I'm really satisfied to dine here, because it was stress free, super calm and the service was good. I'm pretty sure it will be a good place to catch up with family and friends. In terms of food, there are some are good and some just normal. My favourite would be all the side orders like fried banana, keropok lekor, and satay. 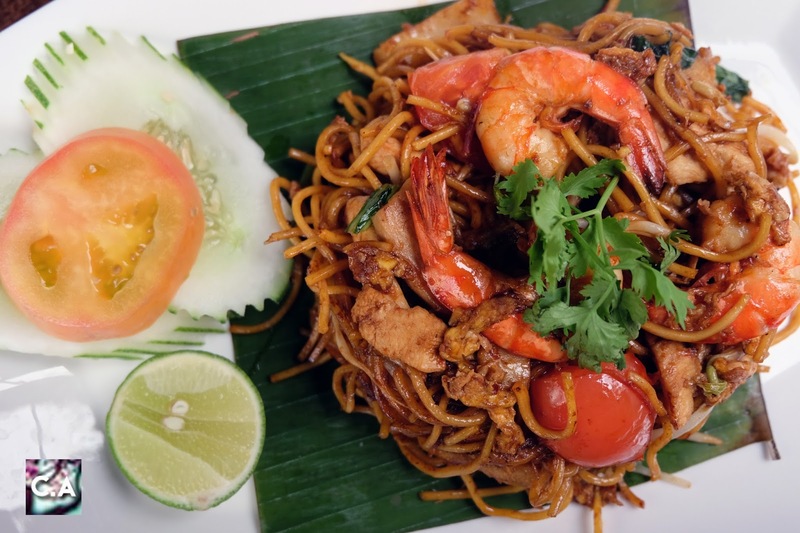 For the main dishes, I would say fried mee mamak because of the flavour. How about you guys? Do you have any favourite from Hornbill Restaurant? Share your thoughts on comment below, I would love to read it. 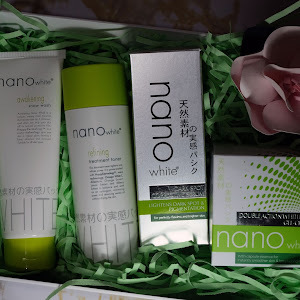 Till then, see you on the next post, have a nice day! Subscribe to my email list on top of our page, to be the first one to receive updates from Curitan Aqalili!